Women seek out breast revision surgery for many reasons, but they all essentially come down to dissatisfaction with the previous outcome. In some cases, women may have enjoyed their results for many years only to later determine they wish to switch breast implant sizes or types. For others, unnatural placement of the implants or the development of capsular contracture prompt them to seek a second procedure. 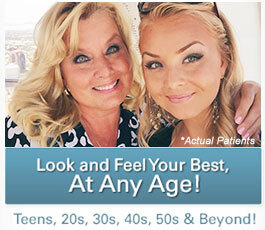 Regardless of the motivations, Dr. Christine Petti, our experienced plastic surgeon, may be able to help. 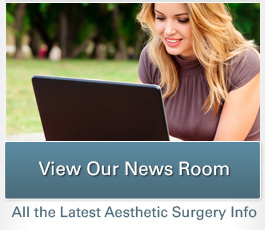 To assist patients in making an informed decision, Dr. Petti outlines what to expect from breast revision surgery and encourages individuals to seek out an extensively trained, board-certified cosmetic surgeon who is attentive to their concerns. Every breast revision procedure is unique, and the appropriate technique to use will depend upon the approach utilized in the patient’s previous surgery, her unique anatomy, and her desired outcome. Regardless of each patient’s situation, Dr. Petti is dedicated to creating a natural-looking and feeling final result that is as balanced, symmetrical, and beautiful as possible. Furthermore, care will be taken to address scar tissue formation and create a structural support that achieves the best possible appearance, both in and out of clothing. Typically, breast revision surgery patients are able to return home the same day as their operation. Some swelling and bruising is normal, and Dr. Petti will provide medication and advice on homeopathic remedies to help manage any discomfort. A special bandeau and surgical bra should be worn for the first several weeks of recovery, and individuals should refrain from strenuous activity for approximately four to six weeks, or as long as Dr. Petti recommends. Most patients find they are comfortable returning to their daily routine after a few days. If you have additional questions about breast revision surgery, or if you wish to schedule a consultation with Dr. Petti, please contact our office today.